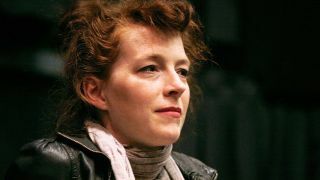 Hole bassist Melissa Auf Der Maur has played down the chances of a Hole reunion – although she describes their jam together as a “beautiful” moment. Now Auf Der Maur tells the Guardian: “Courtney described it as, ‘We went on a date but we did not make out.’ That’s what I can say. She co-runs the Basilica Hudson art centre, a converted factory in New York, with husband Tony Stone, and appears intent on focusing on that project.